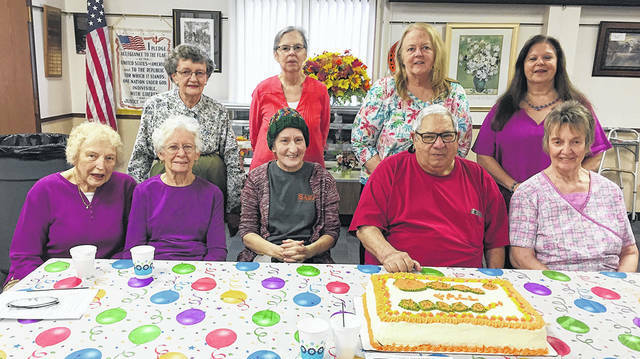 The Vandalia Senior Center recently celebrated September birthdays. Pictured back row, left to right, Stella Williams, Darby Harris, Linda Bracken, and Director Toni Williams; front row, left to right, Phyllis Via, Bert Sherman, Beverly North, Jerry Cohen, and Melody Cauley. Thanks to Friendship Village for providing the cake.